"The time to complete the work from when the order was..."
"Stan's provides great service and workmanship with all they..."
"We chose Stan's because we were comfortable with the..."
Over time insulation can start to deteriorate. This home was in need of new insulation in the front porch area. This home had a new window installed much smaller than the original one. Our crew cut away portions of the siding that were already in place and blended new siding in to keep that portion of the house in a perfect match to the remainder of it. We greatly improved the gutter functions by removing the downspout and repitching the gutter. Proper water management is essential to protecting your home- trust the experts at Stan's with your gutter needs! We noticed a small wet section of drywall, upstairs in our master bedroom. There is no attic above this section. Just the roof. We recently bought a house that the inspector recommended we look into better attic insulation and air sealing and redirecting bathroom venting that is going into the attic space vs vented outside. Also, he did not perform a roof inspection. Our shingles are 9yrs old, to our knowledge, but have no idea if there are any concerns we should address. Also, gutters were clogged when we moved in, and looking for estimate on possible enhancements. If we could schedule an estimate anytime this week would be great. Thank you. I'm looking for someone who can replace some damaged siding on my garage. The old siding looks to be some sort of wood composite. The length of the garage is approximate 22 feet and I need to rows of siding on the north side and maybe two or three sections of two rows on the south side. I am tremendously happy with our roof and have recommended Stan's to others and will continue to do so. Your roof and siding are vital pieces of your property; they provide the whole structure with protection from the elements. Your roof and siding keep rain, hail and excessive sunlight and wind from damaging your home and disturbing the occupants. Not only do your roof and siding protect your home, they also contribute to the overall exterior design. That is why great looking, protective and durable roofing and siding are crucial. In order to keep a quality roof over your head, you need a reliable roofing professional you can trust. 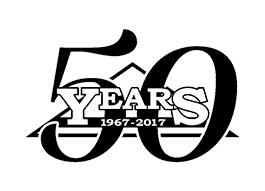 Stan's Roofing & Siding has been serving the residents of Naperville since 1967 with a wide range of roofing and siding services. Our employees are professionally trained and capable of installing or repairing any roof or siding you have or need. Last year a storm blew off the aluminum trim around the top of our chimney. Chimney has vinyl siding, and wood at top, that was covered w the trim wrap. We're looking to have it repaired. Need two planks of Aluminum siding replaced on house to be purchased on April 9th. Have a lack of proper roof ventilation, causing mold in my attic. Looking for a cost effective solution to improve ventilation. We are in the process of purchasing a home, we would like an estimate to either repair a section of the roof or replace it. 10 year old roof is leaking where the upper and lower roof lines meet on our split level home. Wondering if it is the roof or the gutters or a combo. Estimate repair vs replace. Have a small roof leak. Would like to get it looked at with estimation for repair.